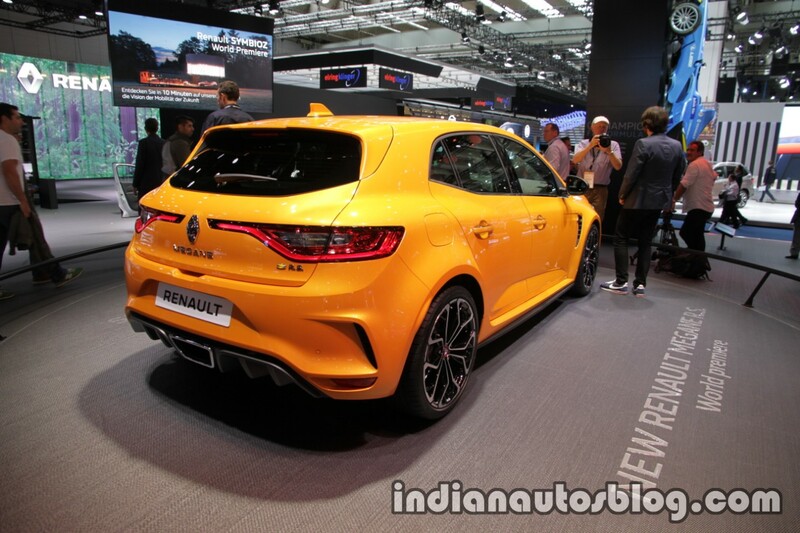 The 2018 Renault Megane R.S. has made its world debut at the 2017 Frankfurt Motor Show. Here are the VW Golf R rival's images from the show. The 2018 Renault Megane R.S. is the third generation of the French automaker's popular compact hot-hatch. The fourth generation Renault Megane's high-performance variant is the first car with the new Renault Sport badging. The all-new Megane R.S. has motorsport-inspired styling mods, including a 3D honeycomb-pattern grill mesh, a F1-style front blade and a rear diffuser. Chequered flag LED fog lamps, more aggressively designed, wider bumpers, increased track width, 19-inch wheels and side air vents with Renault Sport badging are a few more of the 2018 Renault Megane R.S.' exterior highlights. A new 'Tonic Orange' paint is the launch colour. The sporty theme continues inside with features like sports front seats complete with integrated head rests, a charcoal grey trim, red top-stitching, fabric or Alcantara upholstery and R.S. badging. The 2018 Renault Megane R.S. sports a 1.8-litre turbocharged four-cylinder petrol engine that puts out 280 hp and 390 Nm of torque. 6-speed manual and 6-speed EDC dual-clutch automatic are the transmission choices. Along with an AT option, the 4CONTROL 4-wheel steering system is also new to the Ford Focus RS competitor. 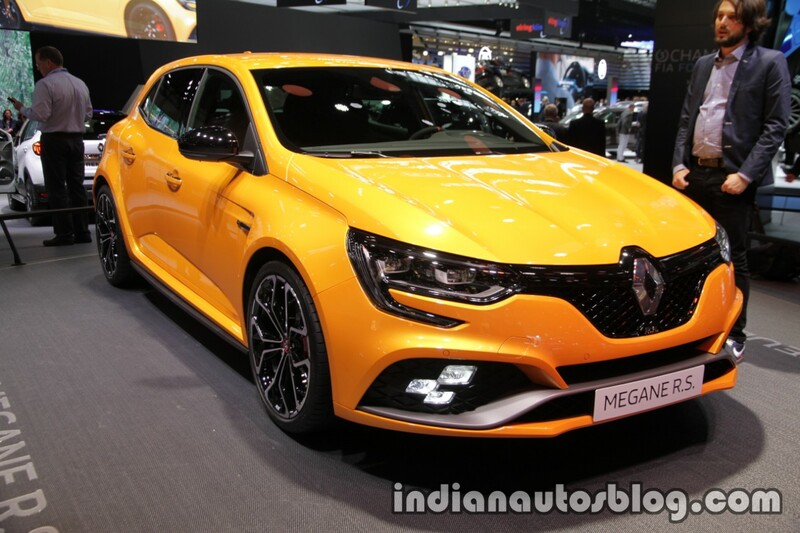 Renault will start taking orders for the 2018 Renault Megane R.S. in December 2017. A Trophy model with a 300 hp version of the 1.8L engine will follow at the end of 2018.